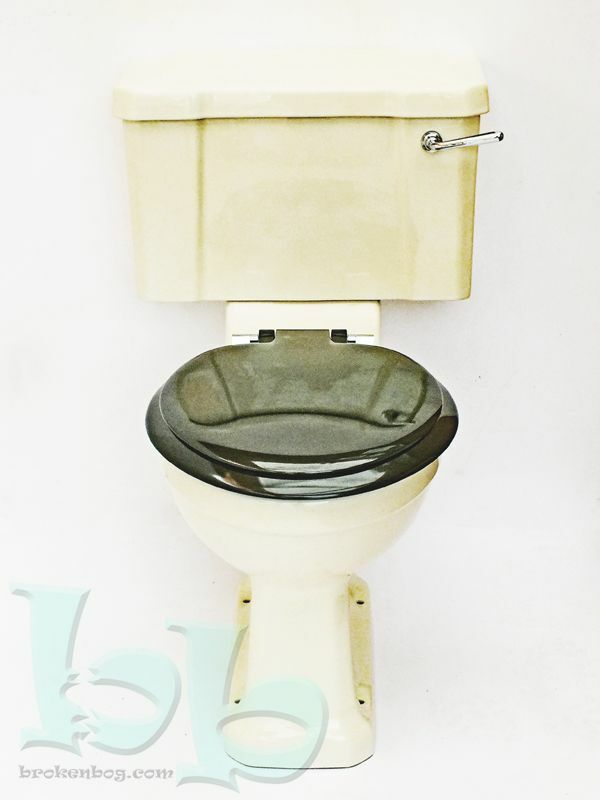 Traditional toilet suite in classic Sorbet / Old Ivory colour based on the "cut-corner" design popular from the 1920s through to the 1950s. The cut-corner style looks very authentic to the period as a replacement for an original, or as part of a new installation in a traditional or contemporary setting. 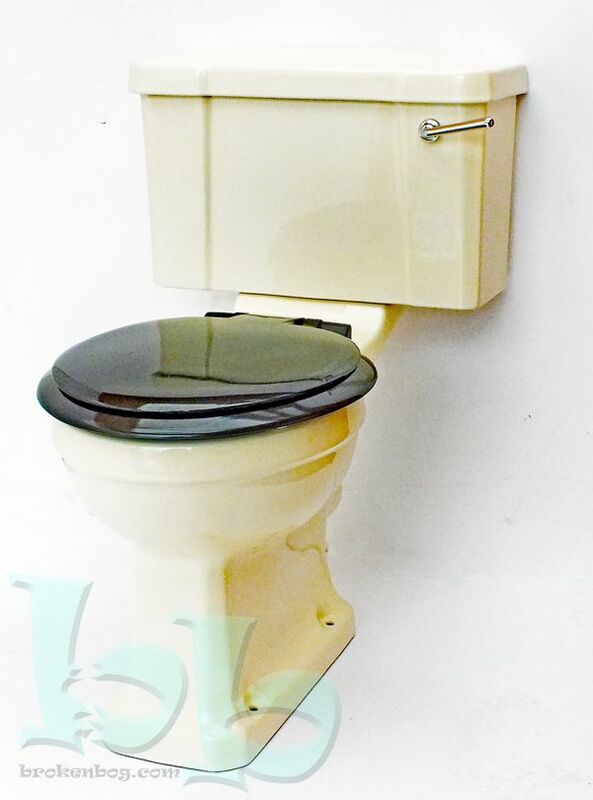 This range is also available in a range of over 50 other retro colours. If the Sorbet / Old Ivory is not what you're looking for, then please give us a call on 01428 608164 and we can discuss availability of other colours. This WC is compliant to modern water regulations. We try to keep at least one of these in stock but if we are out of stock these items are made to order, and can take 4-6 weeks for the manufacturing and glazing process. Please bear this in mind when placing an order and do please call to check the current stock availability.